Keep your cell phone close at hand with a convenient cell phone ring. 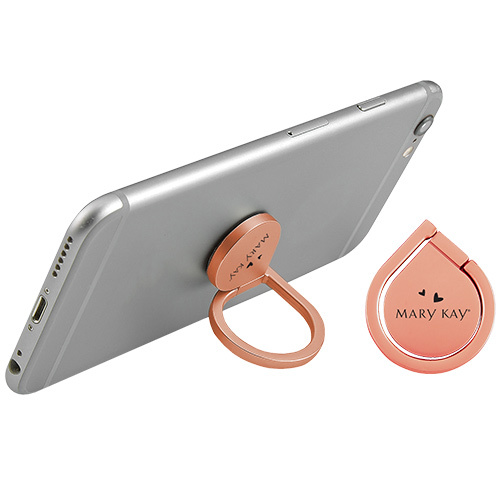 This rose gold, aluminum cell phone ring features an engraved Mary Kay logo and doubles as a phone stand. The strong adhesive adheres to the back of your phone and the convenient flip ring makes it easy to handle and prop up your phone. Not transferable to multiple devices.